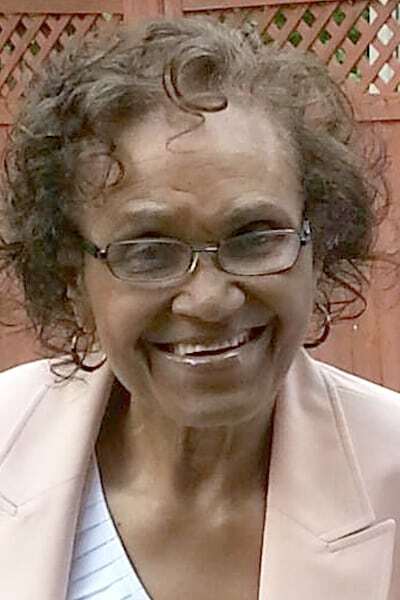 WARREN — Naomi E. Witherspoon Flanagan, 83, of Wildwood Drive NE, Warren, departed this life at 11:57 p.m. Wednesday, Sept. 5, 2018, at Trumbull Regional Medical Center, following complications of an extended illness. She was born July 25, 1935, in Sumter, S.C., the daughter of Robert and Ophelia Reed Witherspoon Sr., residing in the area for 76 years. Mrs. Flanagan was employed with the Warren City School System for 25 years as an educational assistant, before retiring in 2000. She was a member of Grace AME Church, the McCullough Williams Auxiliary and enjoyed gardening and baking. She was a 1954 graduate of Warren G. Harding High School. She married Howard Flanagan Jr. on Dec. 23, 1956; he died Sept. 10, 1998. She leaves to mourn six sons, Derek (Leanne) Flanagan and Darryl (Mary) Flanagan, both of Warren, Quintin (Christine) Flanagan of Austintown, Howard (Michelle) Flanagan, Edward (Margie) Flanagan and Patrick (Stephanie) Flanagan Sr., all of Warren; one daughter, Mrs. Latrice (Mario) Hainesworth of Warren; 25 grandchildren; nine great-grandchildren; and a host of relatives and friends. She was preceded in death by her parents; one son, Kevin Flanagan; two daughters, Ms. Adrienne Flanagan and Ms. Cassandra Flanagan; two brothers, Robert Witherspoon Jr. and James Witherspoon; one sister, Ms. Virginia Wright; and one grandson, Mario Williams. Funeral services will be 11 a.m. Friday, Sept. 14, 2018, at the Second Baptist Church, where calling hours will be 10 to 11 a.m., one hour prior to the service. Burial will take place in Pineview Memorial Park Cemetery. Family will receive friends at 754 Wildwood Drive NE, the home of her daughter, Mrs. Latrice Hainesworth. Arrangements of comfort were handled by the Sterling-McCullough Williams Funeral Home.